Born: 23 August 1898, Johannesburg, South Africa. Died: 7 June 1960, Pretoria, South Africa. Hermann Graf obtained a BSc degree (chemistry and physiology) in 1922, a BVSc in 1925 and a DVSc in 1932, all through studies at the Transvaal University College (later the University of Pretoria). In an early scientific paper he reported his "Preliminary investigations on the Van den Bergh reaction on sera of domestic animals" (South African Journal of Science, 1926, Vol. 23, pp. 231-238). His doctoral thesis was titled Comparative chemical studies on 'laked' and 'unlaked' blood filtrates of domestic animals in health and disease. In 1926 he took up an appointment as veterinary research officer at Onderstepoort and from 1927 served as lecturer, first in biochemistry and later (1929) in chemical pathology at the Veterinary Faculty of the Transvaal University College. During World War II (1939-1945) he was interned at Koffiefontein from September 1941 to December 1945. In 1954 he was promoted to the post of deputy director of Veterinary Services. From January 1956 he took on the additional task of dean of the Veterinary Faculty. 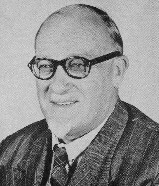 Graf served on the Veterinary Council in 1935, and again from 1956-1960, and was an active member of several scientific societies: The South African Association for the Advancement of Science (from 1926), the South African Veterinary Medical Association (from 1926), the Suid-Afrikaanse Akademie vir Wetenskap en Kuns, the South African Botanical Society (from 1935) and the South African Forestry Association (from its foundation in 1937). His scientific contributions were mainly in the fields of analytical haematology and the analysis of dips. Graf was a lover of nature and did much to improve public knowledge of indigenous trees and shrubs. His wide interests also included music and opera. He died of a heart attack while on duty. He was married to Henrietta Augusta, born Van Wyk. Bekker, P.M. Doodsberig: Dr H. Graf. Journal of the South African Veterinary Medical Association, 1960, Vol. 31(3), pp. 423-424. Hofmeyr, C.F.B. In memoriam, Prof Dr H. Graf... Suid-Afrikaanse Akademie vir Wetenskap en Kuns, Jaarboek, 1961, p. 7. National Automated Archival Information Retrieval System (NAAIRS). http://www.national.archives.gov.za/naairs.htm Documents relating to Hermann Graf / H. Graf. South African Journal of Science, 1926, Vol. 23, paper by Graf.